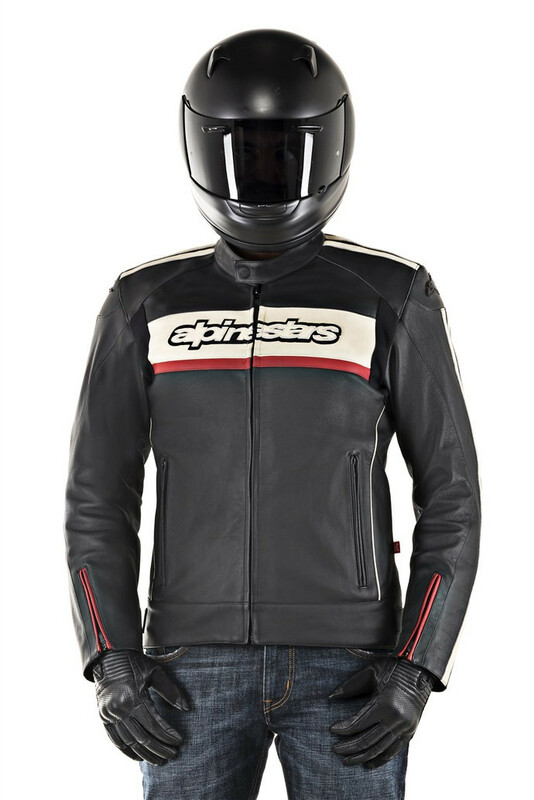 One of Alpinestars most successful and iconic leather jackets is back: the Dyno V2 Jacket is a CE certified road riding jacket constructed from a supple full grain leather with strategic stretch panels for optimized levels of fit and movement on the bike. 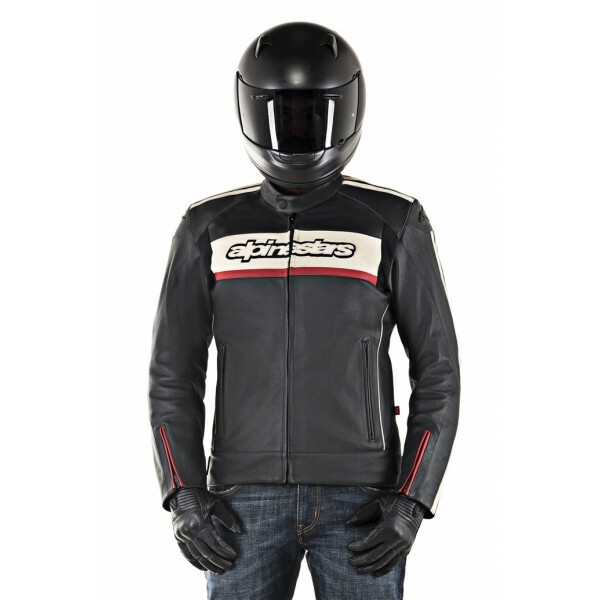 With class-leading protection the Dyno V2’s clean, simple styling offers comfort and performance for urban riding. 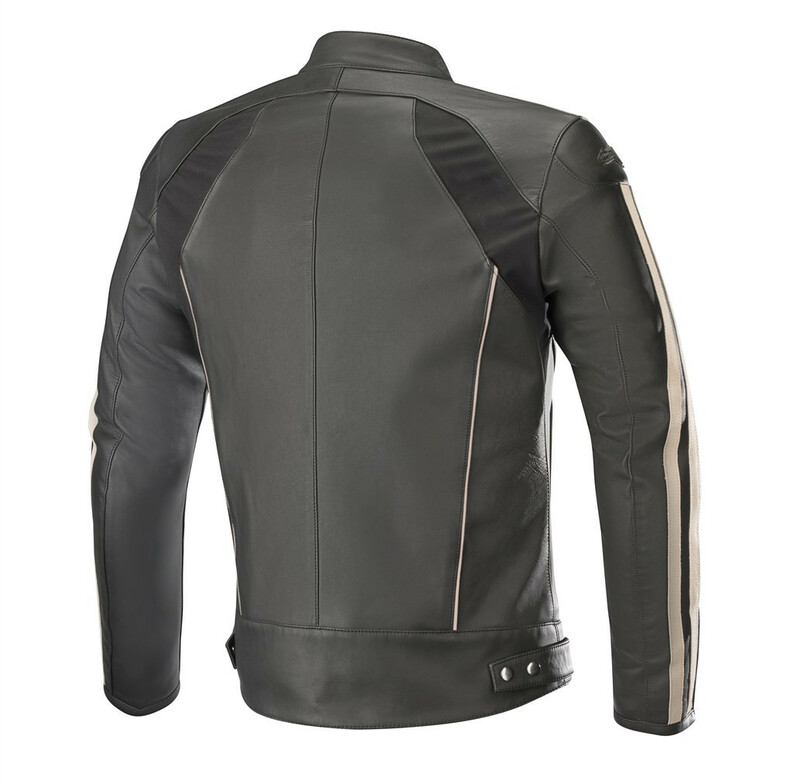 • Full grain bovine leather main shell construction with natural finish for a soft, luxurious feel. • Stretch panels on chest offer improved fit, movement and feel. 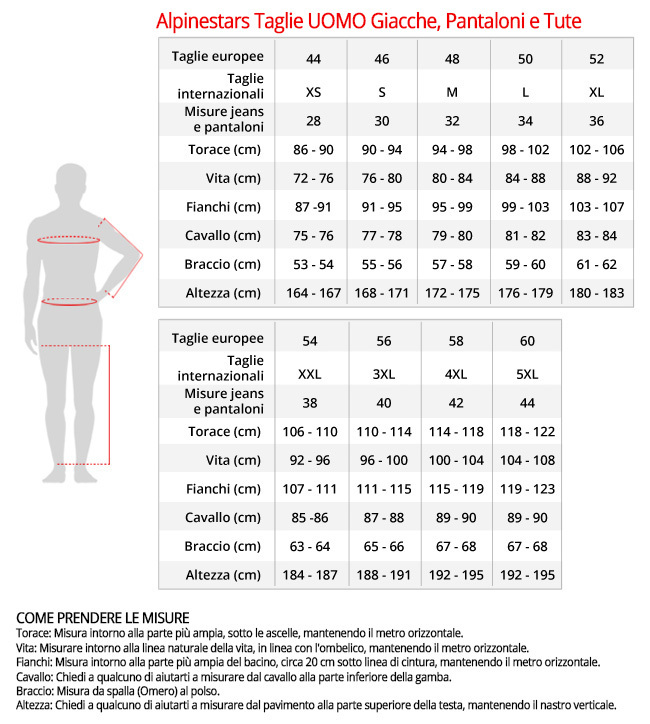 • Snap waist adjustment for personalized, riding fit. 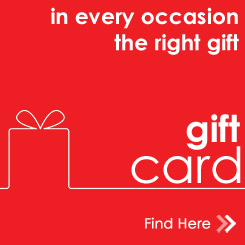 • Two zippered hand pockets plus inner waterproof wallet pocket. • Snap collar closure offers increased neck coverage. • Pre-curved sleeves construction reduces riding fatigue and improves fit. 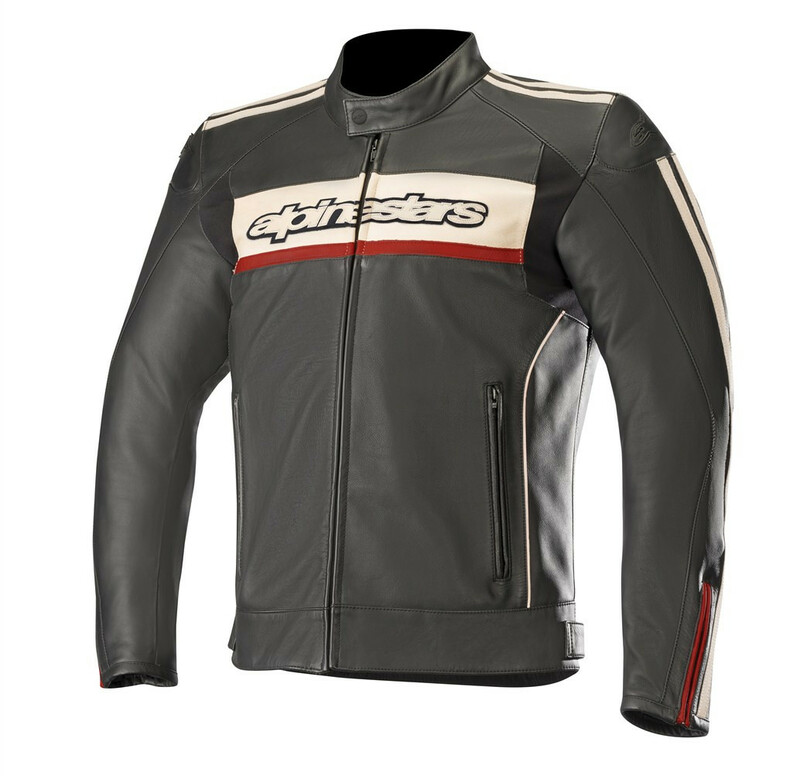 • Waist connection zipper allows attachment to Alpinestars riding pants. 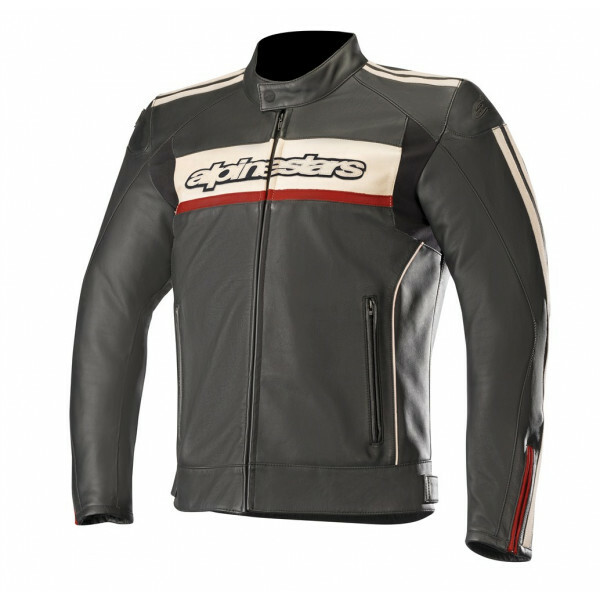 • Leather patched logos for classic Alpinestars styling. • Chest pad and back compartments with PE padding (Alpinestars Nucleon chest and back inserts available as accessory upgrade). • Multiple snap button system to integrate the Level 2 CE certified Alpinestars Nucleon back protector. • Internal CE-certified Bio-Armor shoulder and elbow protectors for class-leading protection. • This garment is CE Certified 89/686/EEC.